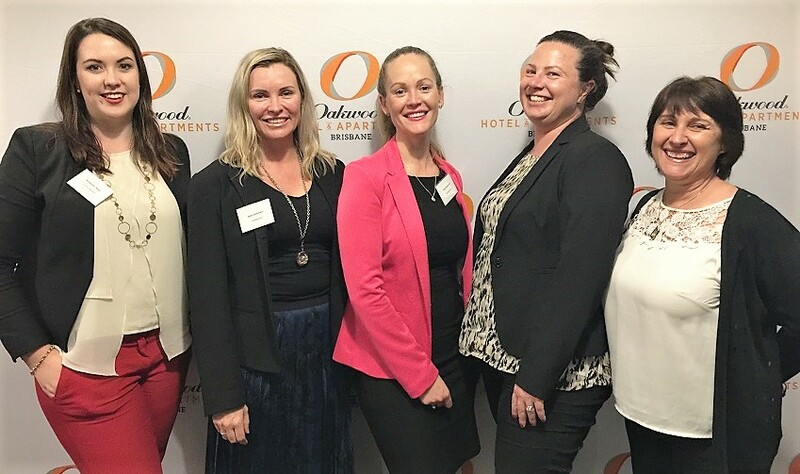 Brisbane’s Travel Industry Mentor Experience (TIME) network congregated at the Oakwood Hotel & Apartments in Ivory Lane, Fortitude Valley last week to network like nobody’s business. “We had a great turn-out”, says the event’s organiser, Emily Foy—TIME graduate and owner of Snowscene Travel. Breeanna Perez and Jean Summers – Clean Cruising; Emily Warbrick, Danielle Bradbury and Tracy Erpf – Snowscene. “30 ambitious industry professionals joined us for drinks and canapés, followed by a brilliant panel moderated by well-known industry leader Kim Tomlinson from Travellers Choice. Kim has a wonderful manner and deftly guided the evening’s discussion into some fascinating territory” added Emily. 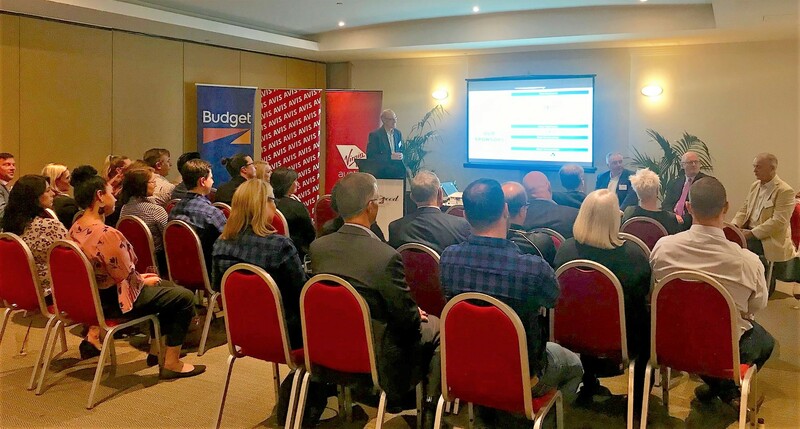 The panel consisted of Savenio’s Andrew Challinor, Charles Morley from Virgin Australia, and respected industry figure Brian Egan. Kim Tomlinson leads TIME’s lively panel discussion in Brisbane. “Andrew, Charles and Brian were fantastic. They complemented each other really well and spoke about the changes and challenges in our industry dating back to the 70’s which was intriguing. There were lessons galore for everyone in the room”, says Emily. 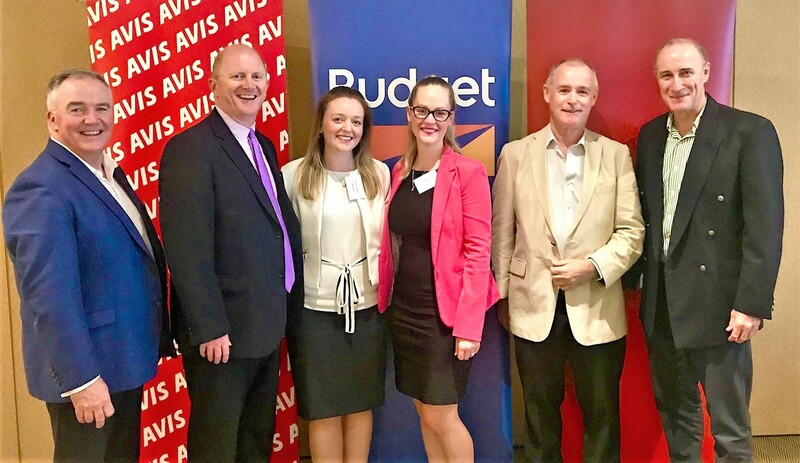 Andrew Challinor – Savenio; Charles Morley – Virgin Australia; Jamie Swan – Singapore Airlines; Emily Warbrick – Snowscene; Brian Egan and Kim Tomlinson. TIME’s founder, Penny Spencer was encouraged by the network’s continued growth in the Queensland capital. “We love seeing TIME not just take a foothold, but really increase its footprint and influence in Brisbane. Program founder, Penny Spencer (right), at a TIME graduation function in Sydney. “Anyone who thinks that mentoring is boring, simply hasn’t been to a TIME function. 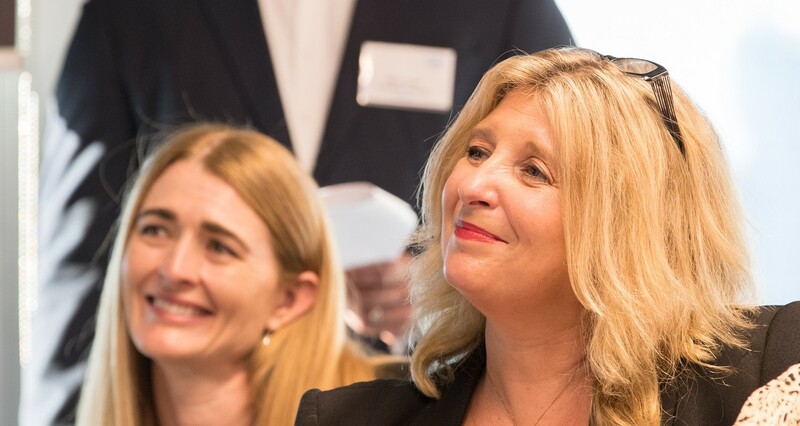 TIME is a not-for-profit organisation with a single, unwavering focus: to develop the next generation of travel and tourism industry leaders within a mentoring and peer collaboration environment”, says Penny. TIME is now seeking applicants for its 33rd program intake commencing 13 February, 2019. Expressions of interest are due by Friday 25 January, 2018.